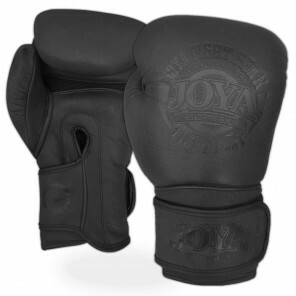 This unique matte black glove with the JOYA Fight Fast logo in the same color is made of Nappa leather and provided with ventilation. The boxing glove is very suitable for the fanatic (kick) boxers because of the professional foaming load and the fixed thumb. Easy to put on thanks to the Velcro fastener. This glove is available in sizes 10, 12, 14 and 16oz. Also available in green and black / white. 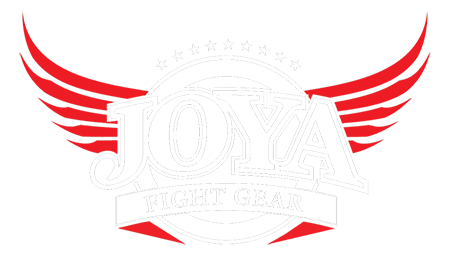 This unique green glove with the JOYA Fight Fast logo in the same color is made of Nappa leather and provided with ventilation. The boxing glove is very suitable for the fanatic (kick)boxers because of the professional foaming load and the fixed thumb. Easy to put on thanks to the Velcro fastener. This glove is available in sizes 10, 12, 14 and 16oz. Also available in matte black and black / white. This beautiful white, leather kickboxing glove by Joya Fight Gear is perfect for beginning and advanced (kick)boxers that train several times per week. The glove has an attached thumb, sufficient padding for shock absorption and a velcro closure that secures the glove around the wrist, making it a safe and durable glove. Matching shinguards and short are available! Handmade in Thailand with specially selected materials. These Gloves offers proper protection for both the wearer and his/her oponent because of the multilayered padding. The velcro strap secures the glove safely around the wrist, ensuring extra stability of the wrist. A top quality glove that is made to last. This Black-Red 'Thai' model, leather kickboxing glove by Joya Fight Gear is perfect for beginning and advanced (kick)boxers that train several times per week. The glove has an attached thumb, sufficient padding for shock absorption and a velcro closure that secures the glove around the wrist, making it a safe and durable glove. 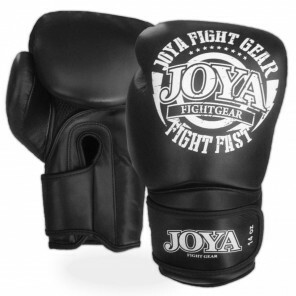 Beautiful kickboxing glove by Joya Fight Gear. 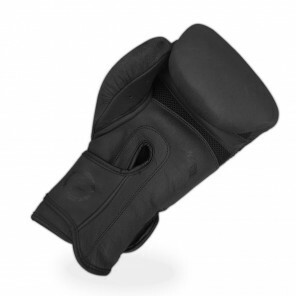 The kickboxing gloves have a double velcrostrap closure for extra secure fitting. The glove has an attached suede leather thumb. The glove stands out because of the beauful details, such as the Joya Wings pattern in the leather on the top of the hand and the carbon pattern strip. 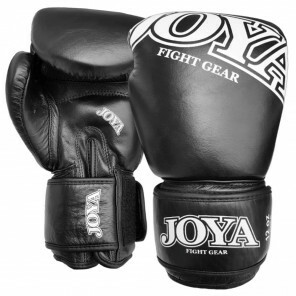 The glove has the Joya logo embosed in white on the fist and the velcro strap.